If you’re going out of town for a few weeks or even just a day, someone’s going to have to look after your cat while you’re gone. The perfect person to trust is a cat sitter. Not only will they love cats, but they will have the necessary knowledge and expertise to ensure your cat is well taken care of. A cat sitter will give your cat the interaction, affection, and exercise they need while also keeping them safe and cared for. Most professional cat sitters will have training and experience with cats that your neighbors just won’t have. Often times they are trained in Pet CPR and first aid and know how to handle a situation if your cat gets ill or injured. When hiring a professional cat sitting service, you’re going to have tons of options to choose from. This means you can choose the amount of pet sitting that is right for you and your cat. The cat sitter will come over to your home and play with your cat, brush them, feed them and give them extra treats, change their water, clean their litter box, and administer any necessary medication. You can choose the frequency and length of your cat sitter’s visit. You can choose from 15, 30, 45, and 60 minutes. Each time option also allows you to choose from one to three visits a day. 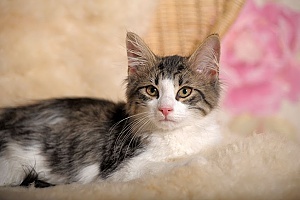 This is great because if you have a more independent cat you may only need a short visit once a day, but if your cat loves attention, you can have your cat sitter come multiple times a day for a longer period of time. You also have the option of having your cat sitter stay overnight. This is a great option if you’re worried about your cat being home alone all night. Overnight stays will last for a period of 12 hours, typically beginning between the hours of 7 and 10 PM. Playtime, brushing, treats, fresh food and water, litter box cleaning, and medication administration are all included for an overnight stay. In addition to the overnight stay, you can schedule up to three day visits to make sure that your cat is well taken care of. Reach out to a local cat sitting company for more information and to schedule you cat sitting services. Cats like to be in the comfort of their own home. 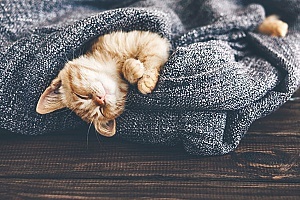 Hiring a cat sitter to come over to care for your cat will allow you to avoid the stress of having to board your cat or having to them to stay with a friend or family member. Your cat will greatly appreciate being able to stay home and use their own litter box. You know your cat sitter loves cats. They will know how to care for them and how to interact with them. This is guaranteed with a cat sitter, whereas asking a friend or neighbor to watch over your beloved cat is a gamble. Plus, a cat sitter is going to be trained on things like what plants are poisonous to cats, how to properly administer medication, and what to do in the event of an emergency. You love your cat and you want to make sure the person looking after them knows what they are doing. By hiring a cat sitter, all of the work is done for you by the cat sitting company. They have ensured that your cat sitter loves animals and is trained in how to properly take care of them. If your cat is needy for affection, hiring a cat sitter is the best way to go. You know when they’re coming over to your house that they are going to dedicate time to playing with your cat – not just giving them food and leaving. A cat sitter will also be able to follow any routines or instructions that you give them to ensure that your cat has the most enjoyable time while you’re away. With the luxury of your cat getting to stay at home, the cat sitter will be able to use toys that are familiar with your cat. Not only will your cat love this, but it will help them to bond with the cat sitter. When you hire a cat sitter, you can guarantee that they will keep your cat’s litter box clean. They will also already know how to properly clean it, so you can rest assured that your cat has a clean litter box and that you’ll come home to a house that smells fresh. To give your cat the care they deserve, reach out to your local cat sitting company to schedule your cat sitting services.